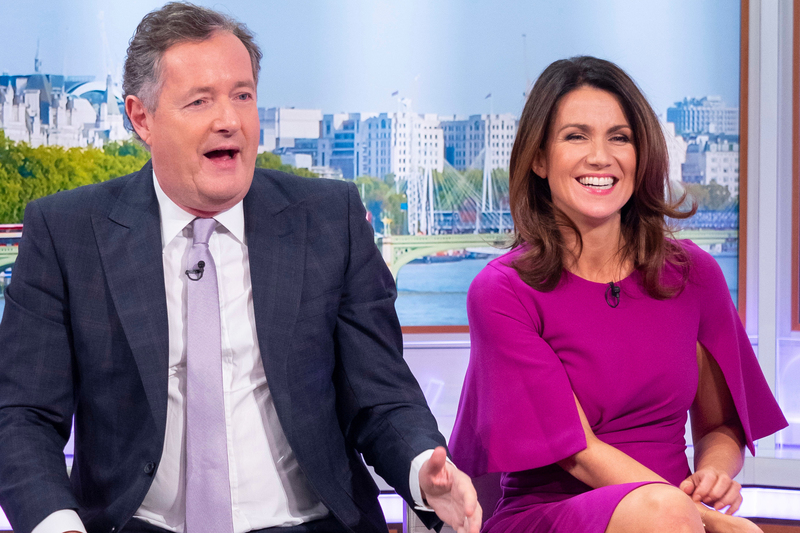 On this morning's episode of Good Morning Britain, hosts Piers Morgan and Susanna Reid were delighted to announce some very exciting news about their show. They revealed to viewers that they’ll be heading to Hollywood, to film a special live show for this year’s Oscars awards ceremony! Piers Morgan announced, “We have exciting news, we are going to cover the Oscars. We are going to be live in Hollywood covering all things fashion and stars. To which Susanna replied, “We are going to the centre of Hollywood. To the land of sequins and stardust. We are going to Hollywood! The popular presenting duo will be joined by some other famous faces for the live broadcast as well – including Mel B, Jane Seymour, and Perez Hilton. The Oscars episode of GMB will air in the UK on Monday 25th February from 6am – which will in fact be 10pm US time – straight after the ceremony takes place. It’s not clear yet whether Piers and Susanna will be getting to speak to Hollywood’s most famous faces during the live show, or if they’ll simply be sharing the best stories of the night. Sadly, GMB’s entertainment editor Richard Arnold won’t be joining the team in America, but accepted the decision with grace – practising his awards ceremony ‘best loser’ face live on today’s show. It’s also not the first time the team will be broadcasting live from across the pond. Back in 2016, Piers and Susanna actually covered the presidential election in New York.